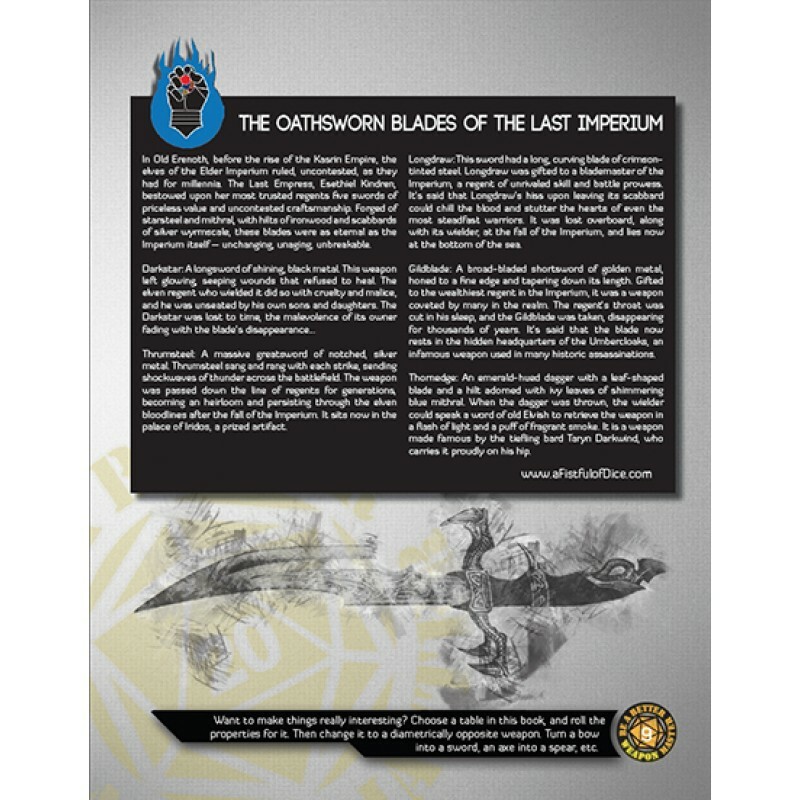 A battle-worn longsword, serrated on one edge and etched with the genealogical line of a dwarven king. 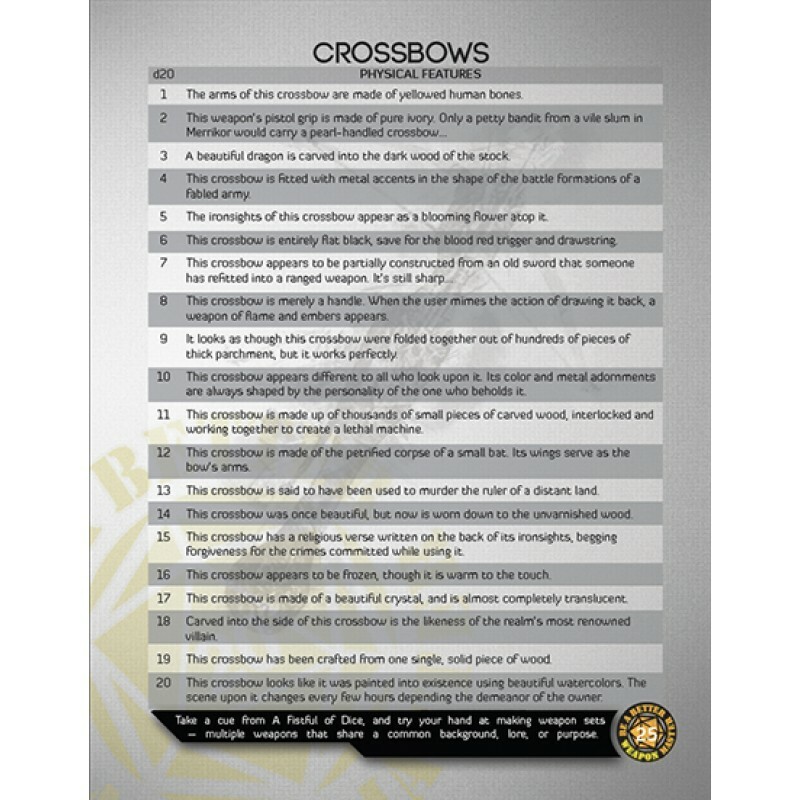 An ivory-handled crossbow, known as Longstock, once wielded by the realm’s most infamous thief. A greataxe, inscribed with religious verse, begging forgiveness for all the sins committed while using it. 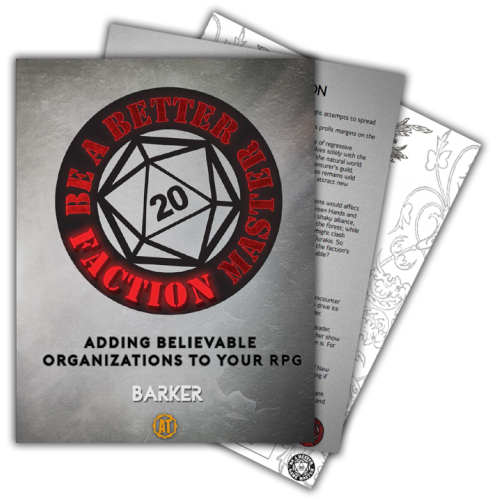 Only a master storyteller can turn a boring, static weapon into something flavorful and story-driven – and that’s where you come in. Written by Michael Barker of Be a Better Game Master, this supplement gives Game Masters and players alike the tools and inspiration they need to add flavorful descriptions and abilities to otherwise standard weapons in their favorite roleplaying games. 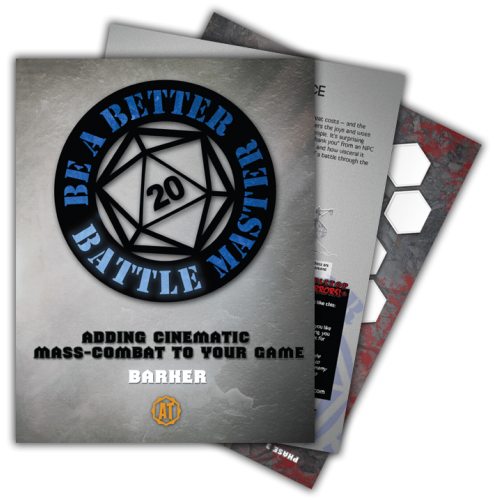 Inside, you’ll find useful and practical advice, roll tables, weapon name generators, lists of improvised and exotic weapons, and fun ways to use all of them in your world. Unsheath hundreds of options for fun and unique weapons. 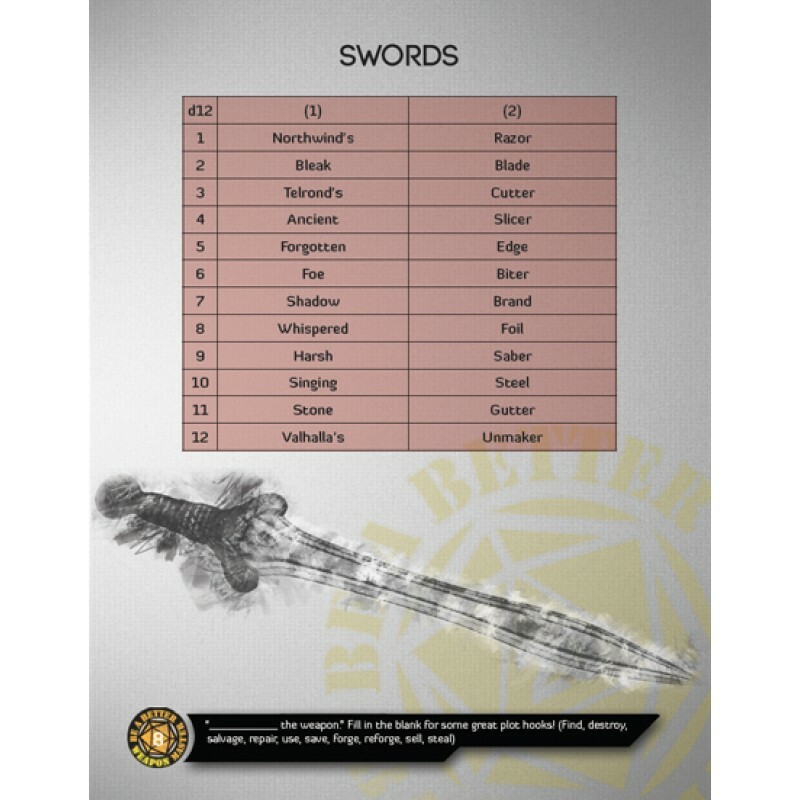 Bestow legendary names upon your weapons with robust name generators. 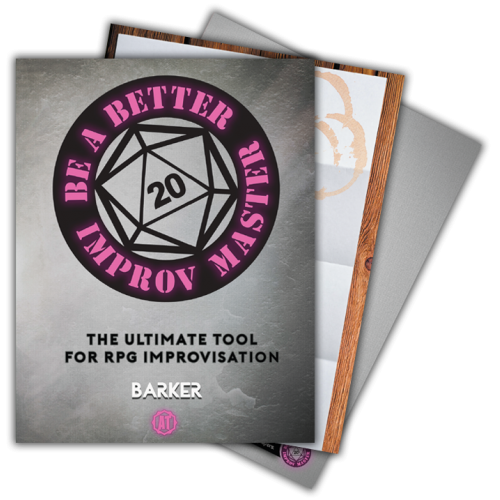 Invigorate your tavern brawls with 40 distinct improvised weapons. Wade through waves of enemies with exotic weapons from throughout history. 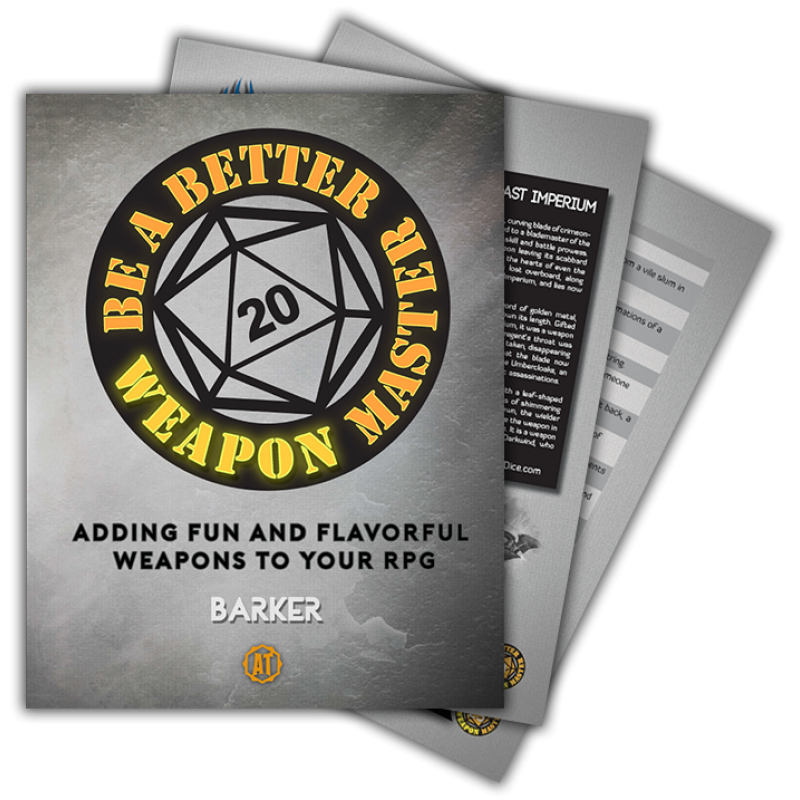 Infuse your weapons with rich history using this bounty of inspiration. 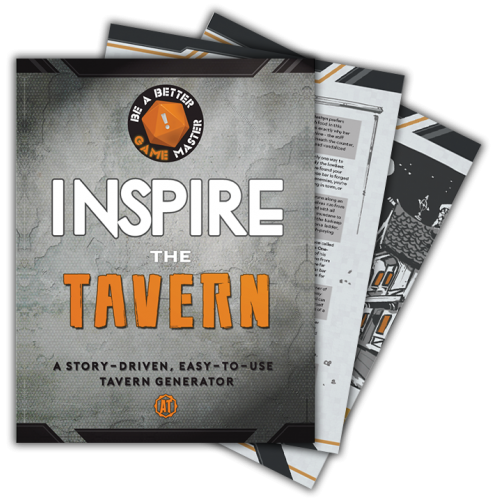 Enjoy 40 pages of inspiring content to create a superb experience at the table. 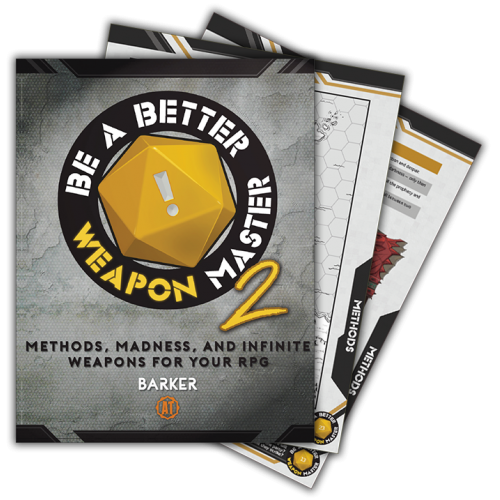 Draw your swords – there’s a victory to be had! 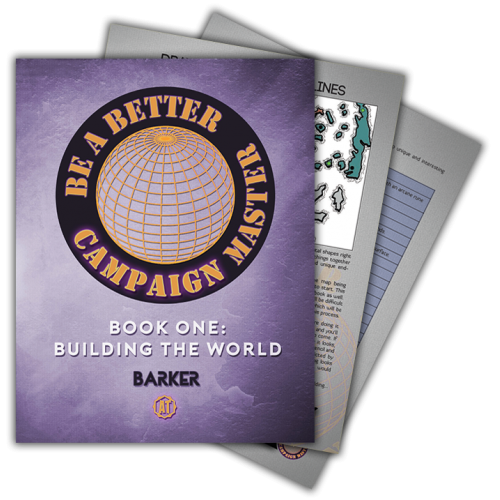 The most streamlined worldbuilding sourcebook yet. From the basic shape of your world, to the..